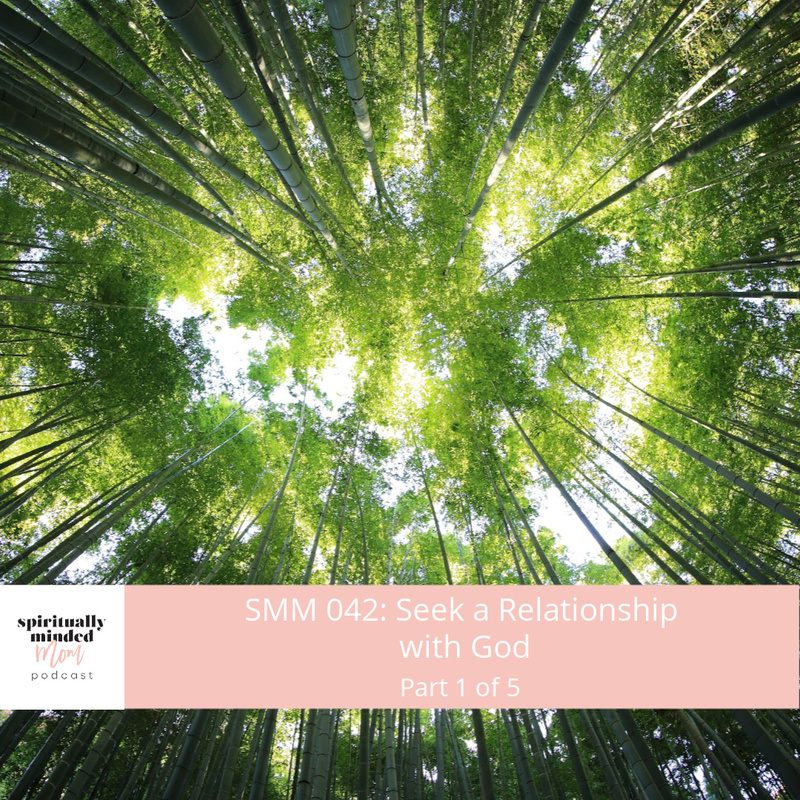 Episode 45 is the fourth episode in a 5-episode series on becoming more spiritually minded. The purpose of the series is to help you figure out how God speaks to you as well as learn how you receive personal revelation. Today’s topic is: Act on promptings felt from God. …follow through with actions that you are prompted to take. 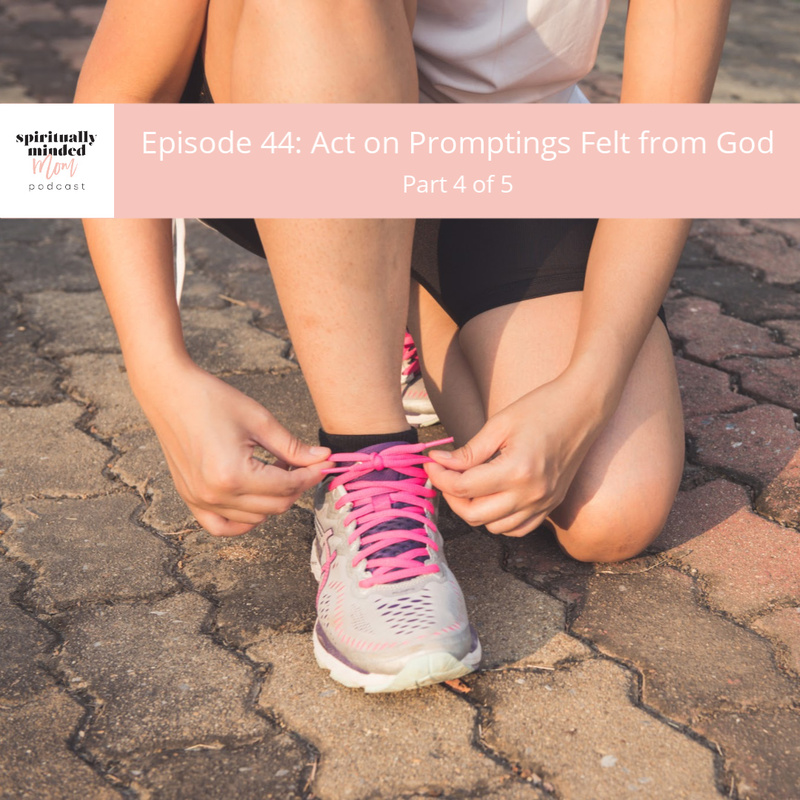 The printable for this week’s episode will give you the chance to ponder and think about situations and times when you have felt prompted and how you acted on the promptings. In this episode, I share some examples about how acting has helped me spiritually throughout my life. You’ll hear how acting gives you power whereas not acting creates doubt. Heavenly Father can’t move an object that is standing still. I also talked about how sometimes we know “what” God is prompting us to do but we don’t know “why.” Listen to hear why this is totally OK and how we can still act and receive blessings from God even if we don’t know the “why” of a prompting. You can find part 1: Seek a Relationship with God HERE. You can find part 2: Build Spiritual Reserves HERE. You can find part 3: Use God as a Guide HERE. Listen to the full episode about how acting helped my family change our financial situation in episode 34: Why I am Grateful for the Hardest Time in my Life. You can hear my interview with Michelle Gifford HERE. Listen to The Women With Fire episode 52: The Quester: Part 3 of the Quest Series, for more about the quote by Michelle Gifford mentioned above. The scripture I shared about Nephi acting on the “what” when he didn’t know the “why” can be found in 1 Nephi 9:5-6. Read the entire talk with the quote I read from Elder David A. Bednar called The Spirit of Revelation. Episode 44 continues the 5-episode series on becoming more spiritually minded. The purpose of the series is to help you figure out how God speaks to you as well as learn how you receive personal revelation. Today’s topic is: Use God as a Guide. The printable for this week’s episode is a worksheet that will help you recognize different ways God speaks to you. There are 28 different ways you might feel the spirit listed on the sheet. Each way has scriptures you can look up. After reading the scriptures, you can ponder and write how you have felt God guiding you in this way. It’s OK if you leave some of the boxes blank. You are an individual and God communicates with you in your own unique way. You may not feel God in all 28 ways listed and that is totally OK. 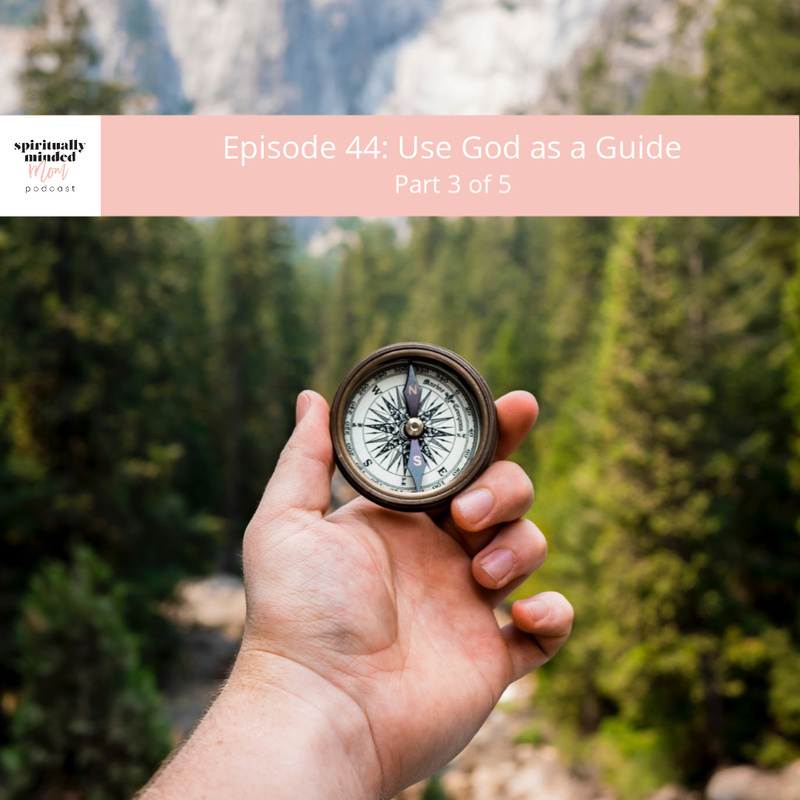 In the episode, I share some of my experiences and how I have learned to use God as a guide in my life. I also share experiences of two previous podcast guests. You’ll hear a short clip of episode 10 with Ally Hayward and another clip of episode 14 with Michelle Garfield. I hope the exercise on the printable and hearing other people’s experiences on the podcast will give you hope and help you realize you can figure out for yourself how God speaks to you. This is the quote from President Gordon B. Hinckley that I included on the printable and also read at the end of the episode. That’s the test, when all is said and done. Does it persuade one to do good, to rise, to stand tall, to do the right thing, to be kind, to be generous? Then it is of the Spirit of God. … If it invites to do good, it is of God. If it inviteth to do evil, it is of the devil. … And if you are doing the right thing and if you are living the right way, you will know in your heart what the Spirit is saying to you. You recognize the promptings of the Spirit by the fruits of the Spirit—that which enlighteneth, that which buildeth up, that which is positive and affirmative and uplifting and leads us to better thoughts and better words and better deeds is of the Spirit of God. If you ever feel enlightened, built up, positive, uplifted or led to do better, you are feeling the spirit. I hope this week’s episode and the printable will help you come to know that more fully in your life. Listen to the full episode of my interview with Ally Hayward, episode 10, HERE. Hear the full episode of my interview with Michelle Garfield, episode 14, HERE. Episode 43 continues the 5-episode series on becoming more spiritually minded. The purpose of the series is to help you figure out how God speaks to you as well as learn how you receive personal revelation. Today’s topic is: build spiritual reserves. 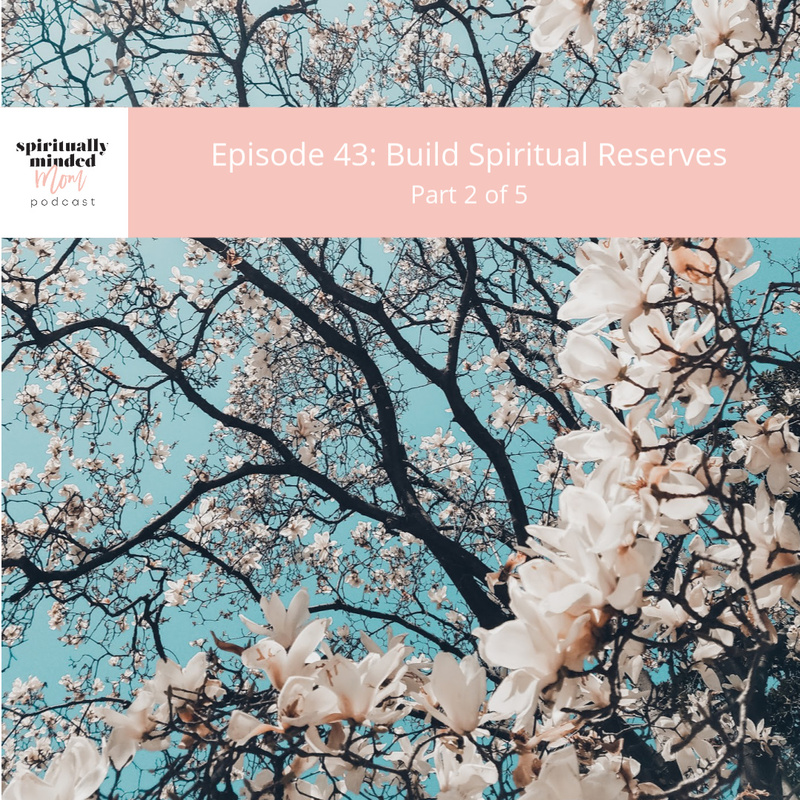 In the episode, you’ll hear two examples from the scriptures about building spiritual reserves. The first is from Matthew 25 where Christ tells the parable of the ten virgins. The second example comes from Alma 2. I share how the Nephites were able to build spiritual reserves and use them in times of crisis and hardship. You’ll also hear how spiritual reserves helped a previous guest from episode 5, Maralyn Nava, cope with the deaths of two of her children. Another topic I dive into is finding time to build spiritual reserves into your life. You’ll hear a clip from episode 16 with Courtney Casper. She shares how she has been able to maintain the spiritual habit of scriptures study. As with all the episodes in this series, there’s a printable you can download. The printable will help you think about how you can personally build spiritual reserves. The printable includes a section with things to ponder as well as an invitation to act. I believe acting is an important part of spiritual growth. It’s great to hear these ideas on a podcast and to even think, “Yes, I am going to do it.” But if you don’t act, it probably won’t happen. Decisions now to exercise faith and be steady in obedience will in time produce great faith and assurance. That is the spiritual preparedness we all will need. And it will qualify us in the moments of crisis to receive the Lord’s promise that ‘if ye are prepared, ye shall not fear. 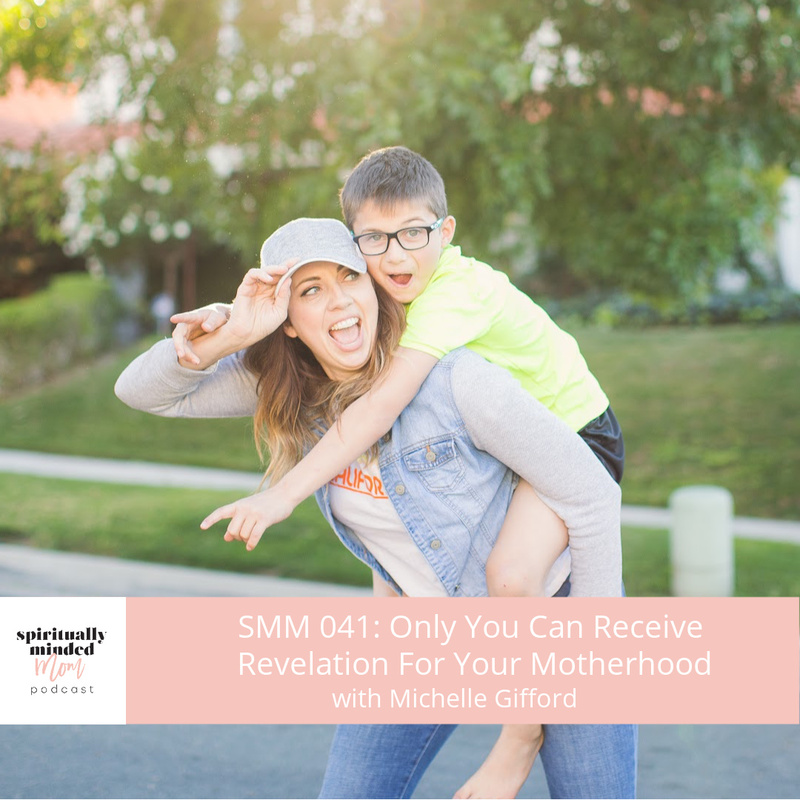 I hope this episode and the printable will help you think about how you can build spiritual reserves. Spiritual habits will help you have faith, a testimony and a relationship with God. Spiritual reserves will help you in a moment of crisis. Hear episode 6 with Maralyn Nava HERE. Listen to the entire episode 16 with Courtney Casper HERE.